The St. 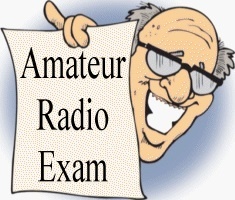 Cloud Amateur Radio Club will be hosting Amateur Radio License Testing on Saturday, August 4, 2018, at our Clubhouse. Now is the time to start studying, pass your License Test, and become a Ham! Or, maybe it’s time to upgrade to General or Extra class. The St. Cloud Amateur Radio Club fulfills the needs and goodwill of the general public in the field of communications in time of natural disasters, such as in tornadoes, floods, earthquakes, and at the time of any other emergency that may occur. We also help with various events around the area providing radio support and manpower. Being a Ham is an incredibly fun and rewarding hobby. When you pass your Technician Test, you will receive your first year’s membership in the Club. That way, we can get to know you and help you get started in the Hobby. Join us and start a new adventure in Fun, Fellowship, and Community. Please feel free to Contact W0SV with any questions.